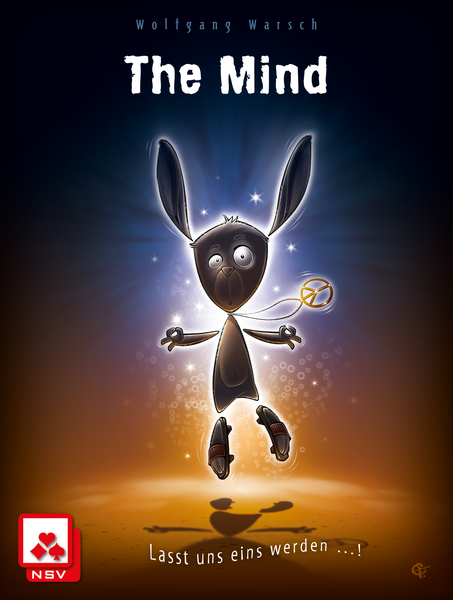 Is “The Mind” A Game, And Why Do We Care? I keep seeing this question on social media and elsewhere and I can’t quite figure it out. Where’d we get the idea that surprise hit and Spiel nominee The Mind isn’t a game, but something else entirely? Sure, it’s presented as this pseudo-mystical thing and it’s gotten the reputation of a cult-like following (thoroughly tongue-in-cheek, I assume). But in terms of the structure of it, The Mind certainly seems like other co-op games I’ve played, just with a unique twist. For those who haven’t played, it’s a game in which players are trying to collectively stack cards lowest to highest without really communicating. What is acceptable in terms of communicating and what isn’t apparently is different depending on if you have the German or English version, but, like with Hanabi, the game ultimately relies on a mutual understanding of acceptability. There are a couple other game elements that give you more lives and cards that have everyone discard their lowest card. But it’s a simple game and I had a pretty fun time the few times I played it. So where’s this idea that it isn’t, in fact, a game at all coming from? I did some half-hearted research and found a long thread where this was questioned, although I couldn’t, for the life of me, find any actual arguments for it. It just doesn’t quite feel like a game to some people. I don’t know if there is an argument out there, but considering it opens the door to some interesting questions. What’s The Point Of Defining Things? There are two primary purposes of definitions: clarity and description. Legal documents will define key terms for the purposes of being extremely precise and clear about what words mean for the purposes of that document. Dictionaries attempt to capture the general usage of words as they change and evolve–their purpose is descriptive. Many arguments over definitions presuppose there is some kind of actual definition inherent in the arrangement of letters that form the word, which simply isn’t true. This makes these arguments often extremely frustrating. Take the internet sensation around trying to define “sandwich”. As an absurdist exercise it’s amusing. As a humorous way to poll your friends and watch them bend their minds to try to define something they’ve previously understood vaguely and intuitively it can be funny. But as soon as someone jumps in as if there’s a definition of sandwich from on high and obviously that includes hot dogs, it drives me batty. So what’s the point of having discussions about definitions at all? Primarily, they can help a broader discussion by understanding what the other person means when they use a particular word. In the discussion about what a game is, it can provide some interesting insight into the other person’s point of view and how they approach games. I tend to err on a more broad definition of game. What does that say about me? I don’t know. But maybe someone who prefers a more narrow definition would find our perspectives diverging in other areas of game design or philosophy. The other kind of discussion around defining things is helping people understand language more precisely. While I’m not much of a language prescriptivist, I do think there are cases to be made that certain meanings ought to be preserved because they are unique and not easily replaceable. For instance, two losing battles that I’ll fight are not conflating “uninterested” and “disinterested”, and preserving the original meaning of “begging the question”. This isn’t really relevant to this article, but I like to bring it up. After I brought up this topic on twitter, I was guided to a couple of very interesting academic sources that attempted to define “game”. One in particular–Jesper Juul’s book “Half-Real”–concluded with a definition that I think captures most uses of the word game and excludes what I would consider a reasonable range of things as non-games. The last two clauses might immediately cause some pause and confusion. “Emotionally attached” doesn’t have to mean a lot of emotion–it simply means that you care if you do well or poorly in the game. For example, in prior discussions on this topic, Matt has presented the example of Apples To Apples as something that really isn’t played as a game, because people are simply trying to be funny rather than trying to get points and win the game. That’s an interesting example, because the rules as written do have a strict win condition and people certainly can play it as a game, but I think most of the time it isn’t really. Negotiable consequences is part of the definition to exclude things like investing in the stock market. The consequences there are well-defined and non-negotiable. A game can be played for fun, for money, or for whatever the participants want. This isn’t an iron-clad definition, and nothing can be, but I think it captures what we mean when we say “game” pretty well–the further you get away from one or more of the clauses, the less the thing you’re considering looks like a game. That being said, I don’t see how The Mind misses any part of this definition. I see people saying that the decisions, given how little information you’re given, are meaningless, but my experience doesn’t bear that out. Yes it’s vague and psychological, but that doesn’t mean there isn’t a difference between good and bad play. Looking more closely, there is certainly a quantifiable win/loss outcome, there are even different values of loss conditions (how many rounds you last), some measure of effort is required to try to play well, and the consequences are negotiable. All that’s left is the emotional attachment clause. Some have suggested that The Mind, by it’s construction, can easily slip into an Apples To Apples situation where no one really cares about the result. While any game can be played that way, I don’t think there’s anything about The Mind that lends itself to that kind of play, precisely because the loss condition is the entire draw of the game, just like with most co-ops. Unless you’re invested in winning/losing, there won’t be any tension in the game at all, which is it’s primary appeal. And what’s gained in its absence? Nothing. Apples To Apples has a different tradeoff. If you play for humor, rather than competition, you’re trading a small amount of tension (who will the judge choose?) for added humor. All of the humor and excitement in The Mind is over close calls or spectacular failures. Having some amount of care over that is required. I can’t see how The Mind isn’t a game under this definition. The only definition of game I can think of that would exclude The Mind is one that excludes all cooperative games. Such a definition would specify some level of player interactivity through competition and relegate other kinds of activities as puzzles. If I remember correctly, this was discussed extensively on the first episode of the Ludology podcast (which you should be listening to anyways!) I don’t have much to say here other than that it’s a reasonable distinction to make, though I don’t prefer it. While many might find this entire topic too pedantic, I hope I’ve made a good case over what kinds of discussions are potentially useful and which are frustrating dead-ends. In this case I think it’s interesting to consider what kind of attributes we give to the category of things we call games and what other activities fit within or outside of it. This isn’t meant as an exercise in gatekeeping. Quite the opposite–it should help us stretch our minds and think about interactions that are perhaps underutilized. I know for me it serves as a kind of mental palate cleanser that helps reorient my thinking about games. On The Mind, while there are a number of good criticisms that could be levied against it, I don’t think calling it a non-game is one of them unless you regularly exclude purely cooperative games from that designation. The kinds of decisions you make are somewhat nebulous, and that certainly is frustrating to many people (and equally fascinating to others), but I cannot see how that would exclude it, specifically, from any reasonable definition of “game”.